Women and men who have unsuccessfully attempted to firm and tone the abdominal region through diet and exercise may be able to attain their goals with an abdominoplasty. Also known as a “tummy tuck,” this operation is intended to improve the aesthetic appearance of the abdominal region.  While liposuction is designed to reduce areas of excess fat, a tummy tuck focuses on eliminating excess skin and tightening any underlying musculature that has become lax, stretched, or torn. Both procedures can be used to slim the waistline for a more toned figure and improved body contours. The procedures can also be combined to optimize the final results. Neither procedure is intended for significant weight loss, and ideal candidates are usually already at or near their target weight. During the consultation process, Jeffrey Copeland, MD—our experienced plastic surgeon—will perform a physical exam, determine your candidacy for each procedure, discuss your unique cosmetic goals, and help you decide which procedure is best suited for your needs. Many patients who choose tummy tuck surgery are mothers who want to regain their pre-pregnancy figure. During pregnancy and childbirth, the muscles of the abdomen can be stretched or torn, resulting in a protrusion of the stomach. When these underlying muscles are damaged, no amount of exercise or dieting can correct the problem. A tummy tuck can tighten and repair these muscles and rejuvenate a woman’s abdomen for a more youthful appearance. Some women choose to include a tummy tuck as part of a comprehensive mommy makeover procedure for a more complete rejuvenation. Other common candidates for tummy tuck surgery have lost a significant amount of weight (MWL) and seek out the procedure to smooth the redundant, excess skin that remains. Dr. Copeland always provides prospective patients with an honest assessment of whether the procedure they are considering is the right approach for achieving their goals. In some cases he may recommend an alternative surgical option that is better suited to a patient’s needs. For the ultimate benefit of the individual, Dr. Copeland may choose not to operate if the conditions are inappropriate for him to do so. The safety of his patients and the quality of their results are always first and foremost in his mind. During a full abdominoplasty, excess fat and skin is removed and the abdominal muscles are tightened. When a less extensive procedure is necessary, there may be a smaller incision with little or no work on the muscles. The degree of laxity, along with the patient’s anatomy and cosmetic goals, help determine which procedure is right for them. Dr. Copeland determines whether the procedure is performed as an inpatient or outpatient procedure. This procedure can take anywhere from 2-5 hours to be completed. When combined with liposuction, the procedure may take longer. What Can I Expect for Tummy Tuck Recovery? As with any major surgery, patients can expect mild soreness, swelling, and bruising after the tummy tuck procedure. Oral pain medication can be used to manage any post-operative discomfort. Patients are encouraged to walk around as soon as they feel comfortable, though the abdomen may feel “tight” for several weeks. Most patients can return to non-physical or sedentary jobs in one to two weeks. Dr. Copeland recommends patients avoid any strenuous lifting or exercise for a period of approximately six weeks. The incision for the abdominoplasty will be placed very low on the abdomen, and the resulting scar can be easily concealed with underwear or a swimsuit. The prominence of the scar should also continue to fade over time. Dr. Copeland customizes each tummy tuck procedure to meet the needs of the individual patient. The exact price of your tummy tuck will depend upon the custom surgical plan.  Common factors that influence the cost of the surgery include the volume of excess skin removed, the extent of any abdominal muscle repair, whether liposuction is combined, and the overall complexity of the procedure. At the end of your initial tummy tuck consultation, Dr. Copeland will give you an accurate quote for the cost of your procedure. Some patients may benefit from financing options, which can provide qualified applicants with low to no interest loans, or flexible monthly payments. To learn more about financing, please speak with a member of our staff. To find out if abdominoplasty is right for you, schedule a consultation at our practice today.